How buying Tanzanite will enrich your life and your pocket. Nothing quite says “value” like precious rarity. Sparsity is a commodity in the domain of gemstones and few things on earth are as rare as Tanzanite. Found in only one place in the world, it is known as the “gemstone of a generation”, with supply predicted to deplete in the next few decades. Combined with its natural brilliance and ancient roots, this stones exclusivity gives it inherent and unique value that is expected to increase markedly over time. As reduced supply piques high demand, it is predicted that Tanzanite will attract significant ‘heritage’ appeal from collectors, investors and appreciators from around the globe. Today owning Tanzanite is rarer than owning a diamond. Tomorrow it may be thought of as owning an extraordinary piece of history. Originally unearthed in 1967, the formation of this stone 585 million years ago has been described as a geological phenomenon caused by extreme heat and unusual tectonic plate activity, making the probability of finding Tanzanite anywhere else on the planet, one in a million. Discovered by Masai tribesman in Tanzania, popular legends regard Tanzanite as a ‘gift from the Gods’ said to preserve youthfulness and improve vitality. The elegant appeal of Tanzanite is not only in how it looks, but also in how it feels. Tanzanite has a reputation for being the most beautiful stone uncovered in the last 2,000 years. Depending on the angle from which it is viewed, Tanzanite’s kaleidoscopic magnificence is attributed to its impressive trichroic surface which reflects various shades of blue, violet and burgundy. 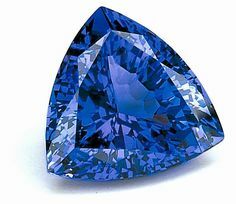 Rated for their carat, colour, clarity and cut, the demand of Tanzanite amongst leading jewellery designers and other gem professionals for its clarity and potential for large cut stones, makes it a lucrative investment. With 2017 marking the 50th anniversary of Tanzanite, take this opportunity with First State Auctions to be one of the last generations able to purchase a selection of the Earth’s finest gems on the market. We have a wide range of sophisticated Tanzanite pieces from loose certified stones, to Tanzanite earrings, rings, pendants and bracelets and plenty more, each encrusted with diamonds. You can place a bid by phone, live or absentee with us here at First State Auctions. We invite you to use this excellent opportunity to save on your next treasured asset. Shipping on all winning bids is free (international T’s & C’s apply).